What would brunch be without a fancy cocktail or ten? I had it in my head to make a pomegranate bellini so I found a recipe to build on, and when I was finished making it… it didn’t look super appetizing. Don’t get me wrong, it was a beautiful shade of berry red and it smelled incredible but it was thick and looked almost like you should eat it with a spoon or over ice cream (and you should). But then I tasted it. And I didn’t want to change a darn thing. So on the morning of brunch I bought cranberry juice and orange juice to mix with champagne in case everyone was scared of the fruit puree. And you know what? Nobody touched that juice. Add all ingredients to a large pot that has a fitted lid and bring to a simmer. Cook for around 10 minutes, or until the sugar dissolves. Cover pan with the fitted lid and cook for 10 minutes. Once the cranberries burst, remove lid and simmer for another 10 – 15 minutes. Use an immersion blender (or pour into a standing blender) to blend the liquid for 1 minute. Pour through a strainer to remove seeds and excess pulp. Let puree chill in the refrigerator for at least a few hours so that the puree is cold by the time you’re ready to make your cocktails. To serve: pour 2 Tbsp of puree into a champagne glass and top with champagne or prosecco. And then drink. your. face off. Note: Don’t worry if your puree is too thick to pass through a fine mesh strainer. It’ll mix with champagne just fine. And if it doesn’t, you drink the champagne on the top of the glass, and THEN you pour the rest over ice cream and eat it with a spoon. Bon appetit. I feel I have to start off with an apology for this sad picture. These waffles do not look very appetizing, but lately I’ve had this food-blogger-problem where I eat everything before I photograph it. And honestly, who wants to read a post about food if they can’t see what it looks like first? I know this, friends, because I am of the same ilk. So while I missed out on sharing a zucchini, sun dried tomato, lemon ravioli, and a skillet lasagna, I couldn’t miss out on sharing this one, too. I used cherries in this recipe because I found them at a little bodega for $1.25 a pound (A DOLLAR TWENTY FIVE A POUND! Thank you, Queens!) and had a surplus. But you could use any ripe, sweet berry. 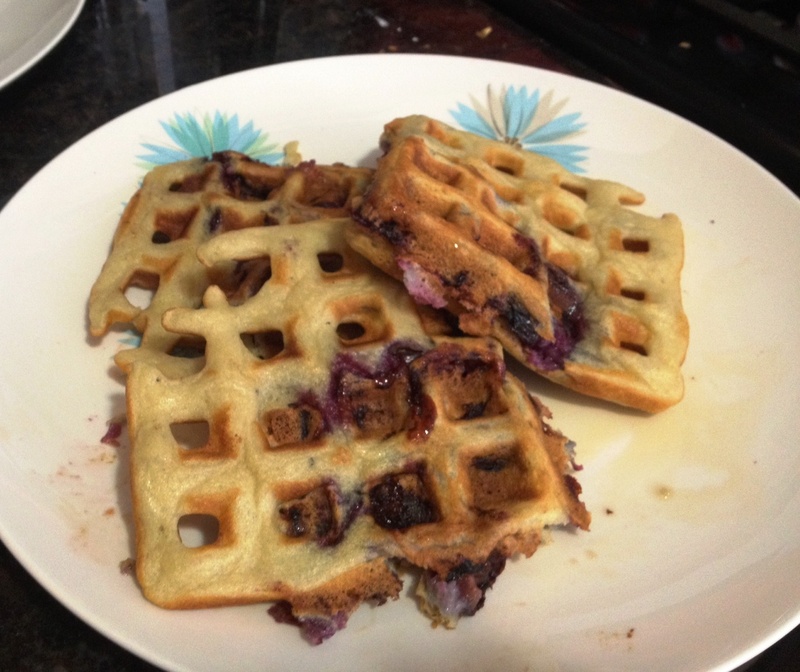 NOTE: You will need a waffle iron for this! I have no idea how you’d do it without one. Sorry Charlie. Combine dry ingredients in a large bowl and whisk together. Add melted butter, vanilla, and milk and blend until combined. In a separate bowl, beat egg whites with an electric mixture just until stiff peaks form. Fold egg whites into the batter just until incorporated. Add cherries and stir until evenly distributed in the batter. 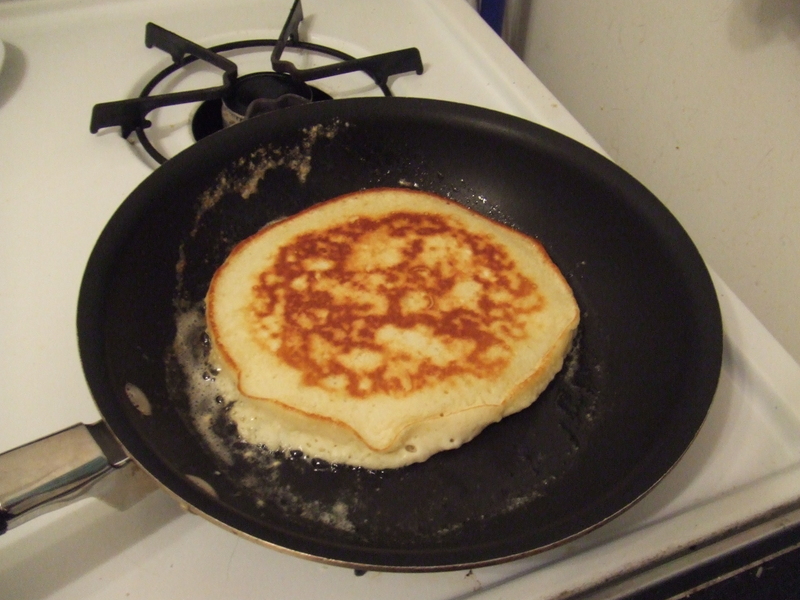 Pour 2 full cups of batter onto the griddle, adding a bit of extra just so the batter reaches the far corners of the iron. Cook each waffle according to your iron’s specifications. 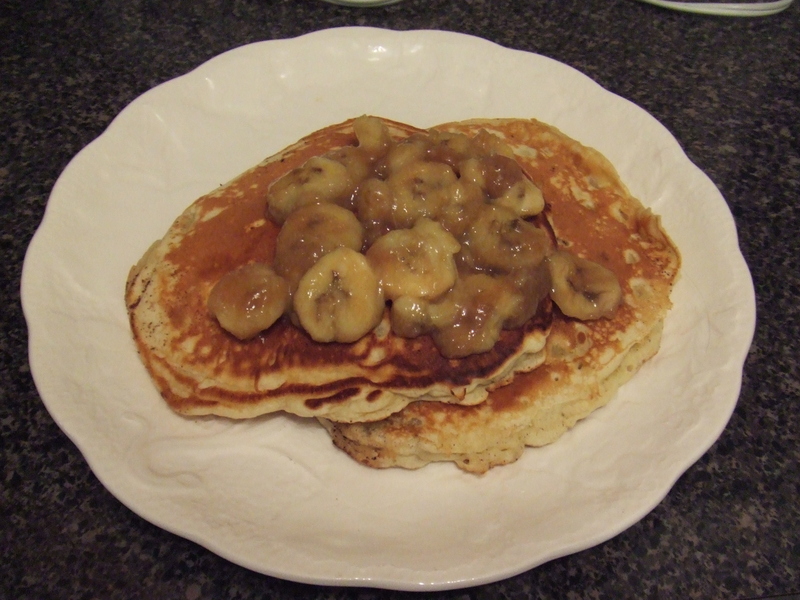 Top with butter and maple syrup, or lemon curd, or powdered sugar, or just eat them straight off the griddle. Not that I would do that. Just saying. *Note: the original recipe that I based this on (from Food.com) calls for 2 eggs, separated. I think using all egg whites gives the waffles a lighter texture and I usually have a carton of egg whites in my fridge. If you do want to use 2 eggs, just separate the egg and yolk, add the yolk into the dry ingredients during Step 1, and follow the rest of the directions as written regarding the egg whites. Still easy and still delicious! … then maybe you might be interested in my hum-drum dinner. I am currently obsessed with everything to do with this green fruit, and I find myself ordering anything on a menu that has avocado in it. They have the good kind of fat (I know, right? Good fat?! Yes, please! ), they add gorgeous color to any dish (okay, not ANY dish), and they have such a brilliant, smooth, creamy texture that I could just bathe in them. Are you an avocado lover? Here are a few more ideas of what to do with this peerless pitted pod of perfection. 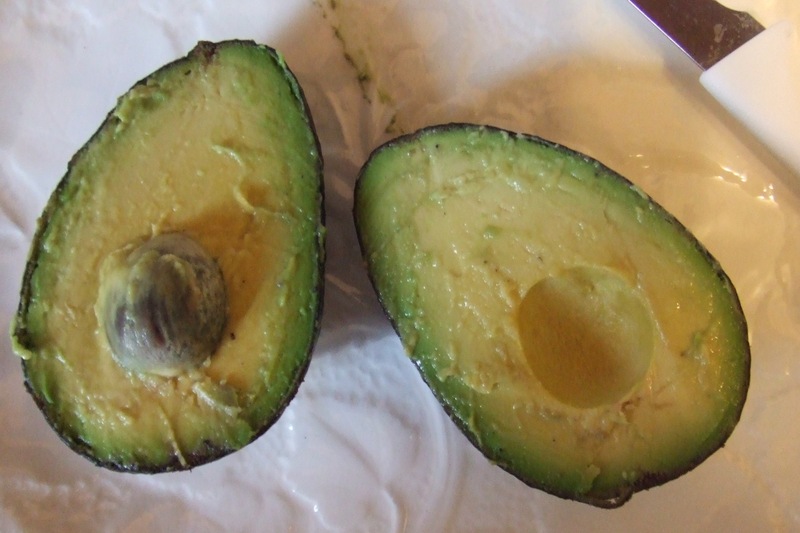 A ripe avocado can be cut in half, around the pit, and twisted apart. Stick a sharp knife in the pit, twist, and it should pull right out. If you’re only using half an avocado at a time, you can leave the pit in the leftover half and it’ll help it keep longer in the fridge.